With time-based competition and rapid technology advancements, effective manufacturing scheduling and supply chain coordination are critical to quickly respond to changing market conditions. These problems, however, are difficult in view of inherent complexity and various uncertainties involved. A manufacturing problem is first formulated within the job shop context with order arrivals, processing times, due dates, and part priorities as a separable optimization problem. A solution methodology that combines Lagrangian relaxation, dynamic programming, and heuristics is developed.Method improvements to consider uncertainties and to effectively solve large problems are highlighted.The approach is then extended to coordinate companies in a decentralized supply chain.By relaxing cross-company constraints, the model is decomposed into company-wise subproblems, and a nested optimization structure is developed based on the job shop scheduling results. Coordination is performed through the iterative updating of cross- company prices without accessing companies' private information or intruding their decision-making authorities. 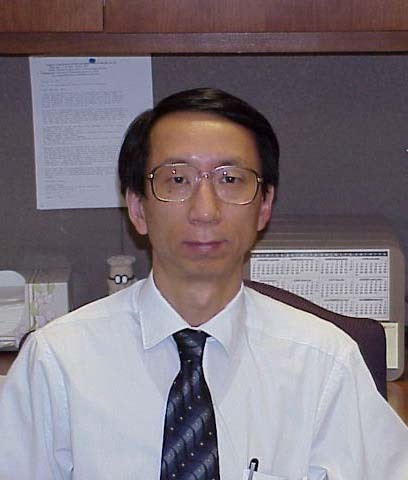 Peter B. Luh is a professor and head of the Electrical & Computer Engineering at the University of Connecticut, Storrs. He received his B.S. in Electrical Engineering from National Taiwan University, M.S. in Aeronautics and Astronautics from M.I.T., and Ph.D. in Applied Mathematics from Harvard University. He has been with the University of Connecticut since 1980, and currently is the SNET Professor of Communications & Information Technologies and Head of the Department of Electrical and Computer Engineering. He is a Fellow of IEEE, the founding Editor-in-Chief of the new IEEE Transactions on Automation Science and Engineering, an Associate Editor of IIE Transactions on Design and Manufacturing, was the Editor-in-Chief of IEEE Transactions on Robotics and Automation (1999-2003), and has been elected as the Vice President for Publications for the IEEE Robotics and Automation Society.